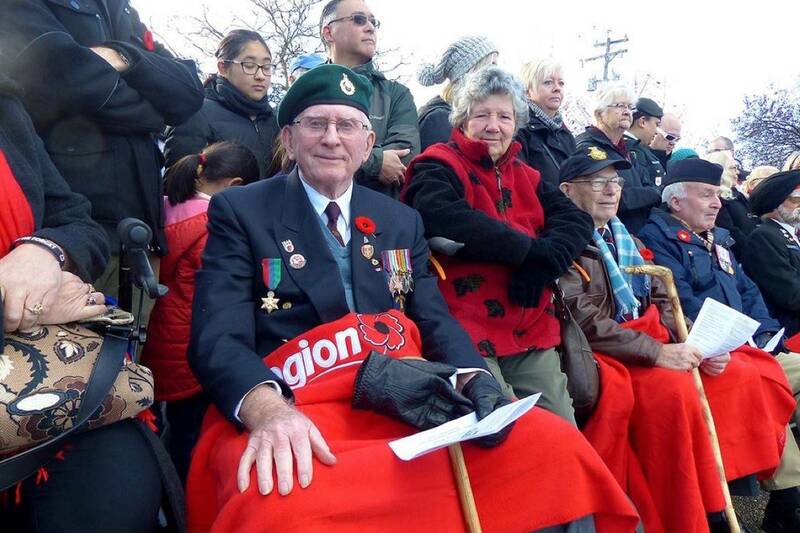 Reginald Wise was 18-years old when he enlisted in Britain’s Royal Marines in 1942. It was Easter Sunday and April Fool’s Day, 1945—the day that Corporal Reginald Wise, who was no fool and no martyr either, would cheat death. More than once. Wise and the rest of his Royal Marine commandos were advancing on a German position in Northern Italy when a landmine took out a track on their lead tank and everything ground to a halt. Almost immediately, a German MG-42 or MG-08 machine gun, firing up to 20 rounds a second, had pinned down the British troops. Wise, a sniper who grew up in London and would eventually settle in British Columbia, was 100 yards back down the line doing his best to suppress the German fire when a messenger arrived, summoning him forward. His skills were sorely needed up front. But, first, he had to get there. 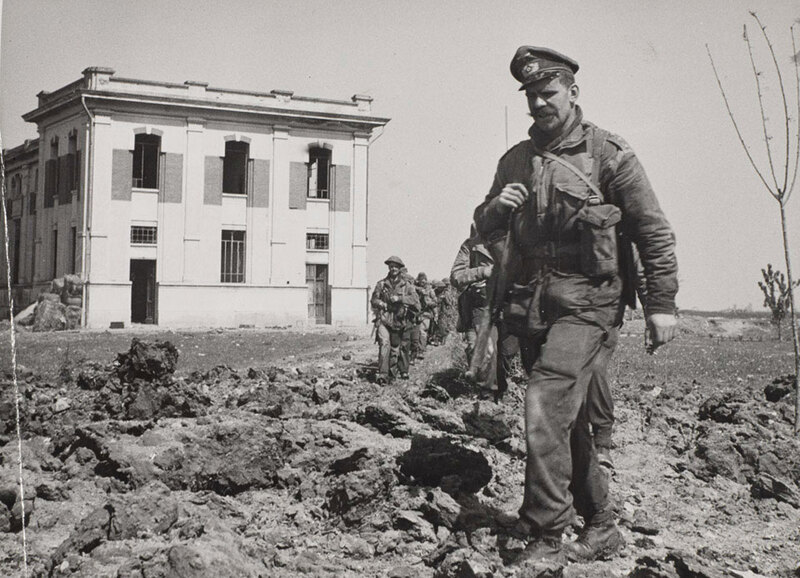 Men of 40 Royal Marine Commando leave a power plant they destroyed at Lake Comacchio, Italy, on April 11, 1945. The Royal Marines were created in 1755, but their pedigree can be traced to the English Army’s Duke of York and Albany’s Maritime Regiment of Foot, formed in 1664. Royal Marines as young as 14 served aboard ship as drummers and buglers. Wise was among the youngest members of his commando unit, but there would be no drumming or bugling for him. His childhood home had been bombed during the Blitz. His brother Leonard, an air gunner, was killed in 1943, his remains never found after his Handley Page Hampden light bomber was shot down over the Irish Sea. Wise had joined the Home Guard, made up mostly of Great War veterans, at 15 years old. 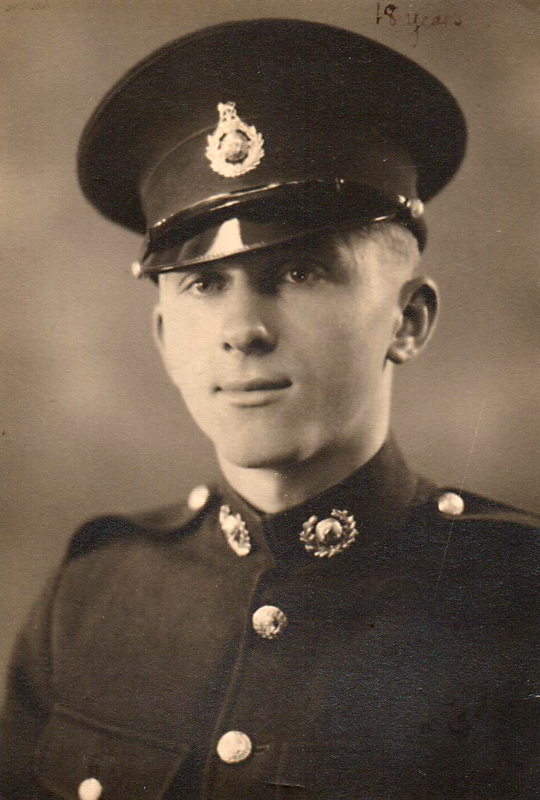 In June 1942, at the age of 17, he volunteered for the Royal Marines. He took a year’s commando training and came out an 18-year-old corporal with 10 men under his charge. He was a member of the vaunted 40 Commando unit, part of 3 Commando Brigade. The elite force of specially trained Royal Marine fighters was created the year Wise joined up. The original Green Berets, they quickly became known—and feared—for their special operations, often conducted at night behind enemy lines. 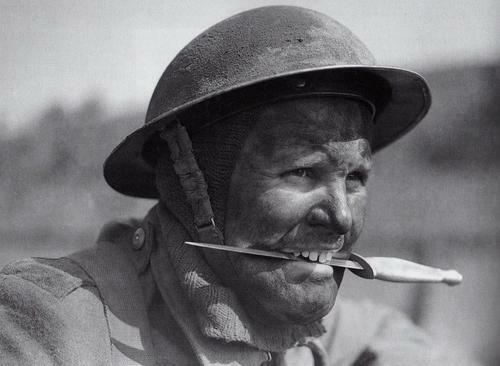 A British Royal Marine commando-in-training with a standard-issue Fairbairn-Sykes dagger. A Royal Marine commando was typically good with a dagger. But Wise’s colonel, John Churchill, was a world-class archer known as “Mad Jack.” He was legendary for taking a bow and arrows on raids to silently dispatch sentries and the like. Wise honed his talent on a bare-bones 1917 Ross rifle. Without the aid of a scope, he became expert at picking off German machine-gunners from 200 yards in Yugoslavia, Greece and Albania. A Lee-Enfield with a scope extended his range to 500 yards. The exceptions were always SS (Schutzstaffel). Hitler’s elite troops were, among other things, responsible for imposing the Final Solution. Their combat arm, the Waffen SS, were crack troops whose front-line presence increased as the war neared its end. 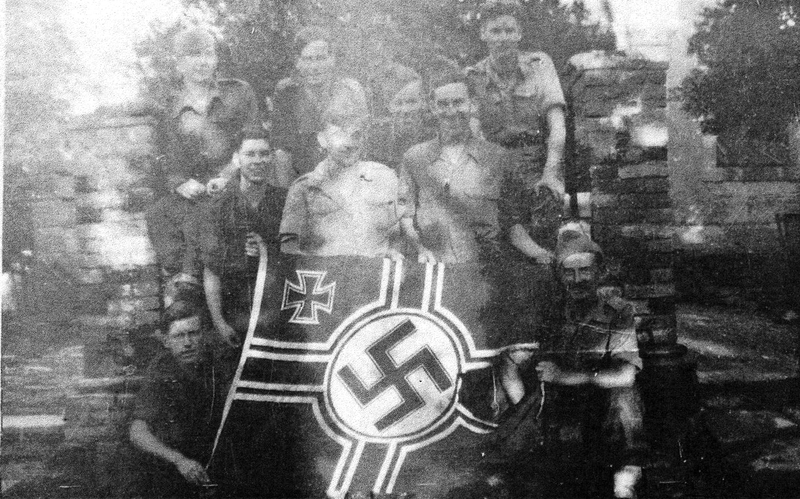 They were fanatical Nazis who had captured and tortured to death at least five of Wise’s fellow commandos. “They were a horrible group, they were,” Wise said, his London cockney accent seemingly undiluted by nearly 70 years in Canada. “When the German army moved out, they moved in. And, let me tell you, they were a cruel bunch of buggers. When he could see the troops he was trying to neutralize, however: in acht nehmen (beware)! 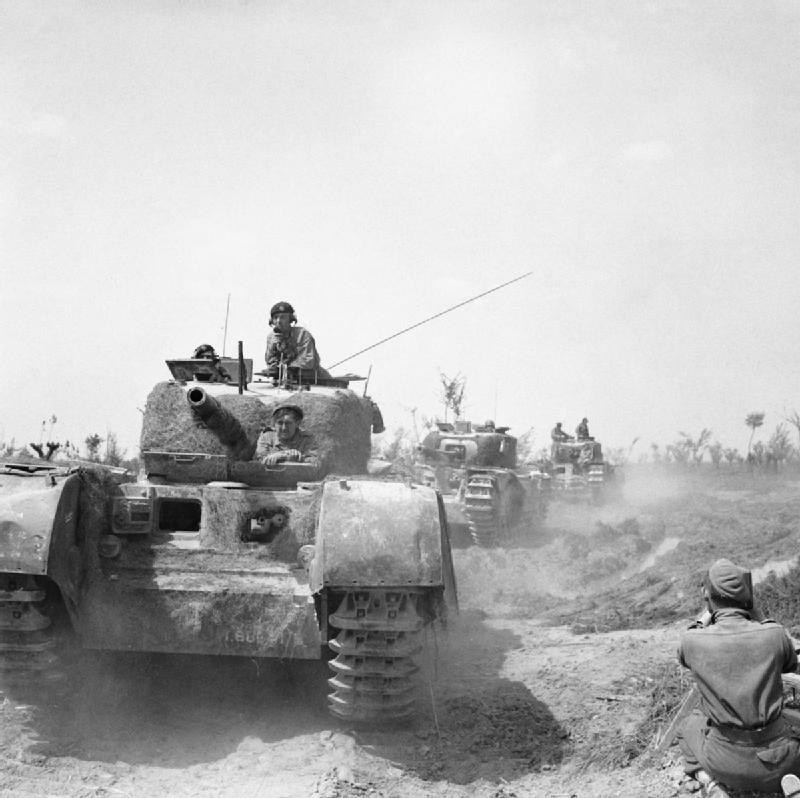 Churchill tanks of the British army’s 56th Division advance northeast of Argenta, Italy, on April 17, 1945, while doctors were working to save the wounded Wise’s left arm. Getting to the front of the column was no easy task. All the other Royal Marines were on their bellies, lying low as 7.92-millimetre machine-gun rounds cracked over their heads. Wise, who heard the bullets buzzing past him, might have preferred to walk on their backs to avoid mines, but he stepped between the prostrate commandos instead. He had already been wounded once, grazed in the lower leg in Yugoslavia, where the commandos had fought alongside the partisans of Josip Broz Tito. The bullet had missed shattering his shinbone by half an inch. The wound turned septic, yet Canadian doctors at a hospital in Italy had him back on duty in mere days. Now the opposing sides were in the last stages of the war. While Allied forces in Europe crossed the Rhine River into Germany, Canadian, British and American troops were making the final push north through Italy. It would all be over in six weeks. The American 5th Army was on the commandos’ left; the British 8th on their right. The Germans were dead ahead. Following the tracer fire from British 40-millimetre Bofors guns (each company was assigned one to guide them), the commandos had just crossed the Reno River at midnight. The town was Argenta. Their commando assault was part of the lead-up to the main operation that would commence 10 days later, the Battle of the Argenta Gap, pitting troops of British V Corps against German units of LXXVI Panzer Corps. The commandos were to secure the 8th Army’s flanks. Corporal Thomas Peck Hunter of 43 Commando (RM) was posthumously awarded the Victoria Cross for his actions during the assault. Hunter was just 200 yards from Wise’s unit when he charged three machine guns across open ground on April 2, sending some Germans running and capturing six others. He continued clearing houses and enabled much of his unit to find cover before he was killed. 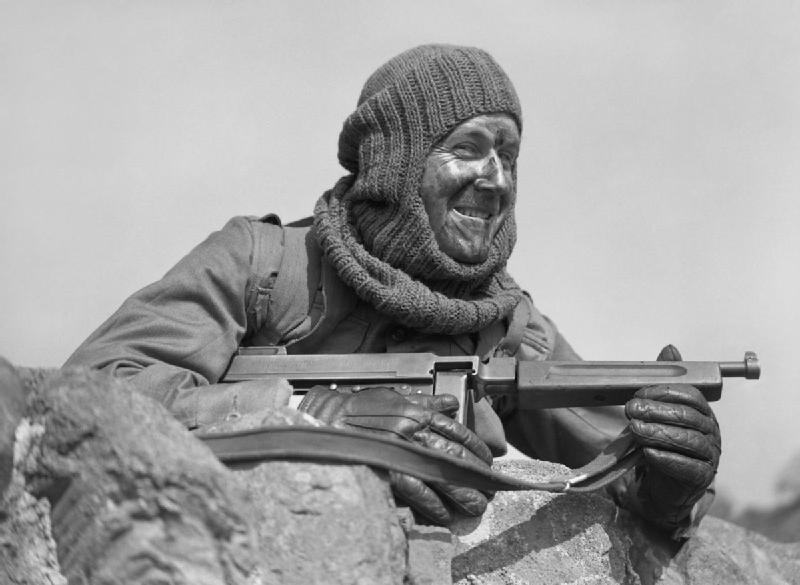 A British Royal Marine commando with a standard-issue Thompson submachine gun. As a sniper, Wise was used to cover. But this time, his only option was to step out from behind the second of their two tanks and stand in plain sight while he assessed what he was up against. “I was out in the open,” he recalled. “I got my binoculars up and I could see where the machine gun was. He let go a burst just to the left side of my face. And then, whup, it went to the right side of my face. He couldn’t see his adversary, only the gun. He saw the flap go up as the German changed his ammunition belt. The enemy fired two bursts and stopped. A jam. Wise’s voice rises in the retelling, as if he were still there, in the midst of it all. It was another machine gun. Wise turned and raised his binoculars. And, yes, there he was, a little farther out, behind a bush. “All of a sudden a face appeared over me. It was one of my buddies. He said, ‘OK, Corp, I’ll get you back.’ And as he bent down to pick me up and take me behind the tank, there was another burst from this machine gun and it took my guy’s pack off. Wise pointed out the machine gun. The lead tank may have been immobilized but it wasn’t disabled; it swung its turret around and took out the German position with two quick shots. A half-hour later, the firefight was over. Wise’s sniping days were over. Medics arrived and took him to a field hospital. He would spend the next five months, until September 1945, laid up as doctors worked to save his arm. He had been hit three times. His left forearm had been shattered and half the muscle torn away. Now, instead of two bones in there, he has one. They removed two bullets from his arm. Another remains, and it gives him fits to this day. It sits close to the nerve and the elbow joint and every now and then it delivers “a hell of a whack,” particularly when he bumps it or someone grabs him. Still, Wise counts himself lucky. Doctors told him that the wound would have cost him his entire arm if they had been restricted to First World War medical techniques and technologies. Corporal Reginald Wise (middle) and fellow members of 40 Commando, Royal Marines, in Greece, November 1944. The war ended. Wise returned to England and eventually took charge of a sheet metal shop, repairing aircraft. It was a year before he could use his arm again. He went to technical college, developed his talent for drawing, and came out after two years looking to become a commercial artist. That paid 10 British pounds a week, he discovered; his old job was now paying 15, so he returned to sheet metal. He married, had a child and, in 1951, was told the opportunities were better in Canada. He moved on two weeks’ notice—first to Toronto, where the oppressive heat and humidity of midsummer forced him to reconsider his choice of locale. A friend told him he might find B.C. weather more to his liking, so off he went. He got a job, bought five acres and built a house. Five years later, he was mortgage-free. He lives in Surrey, 30 kilometres east of Vancouver. Today, Wise points with pride to the rich history of the Royal Marines—they were on the docks in Boston when the first shot of the American Revolution was fired. They helped the British Redcoats land and scale the cliffs of Quebec to the Plains of Abraham, and they were key to the capture of Gibraltar in 1704. “So I knew, I mustn’t let the side down,” says Wise. 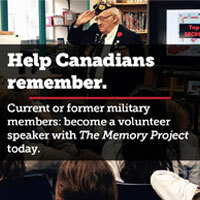 “My wartime experience certainly changed me. You grew up awfully fast. Reginald Wise, now 94, served as a sniper with 40 Commando, Royal Marines, until he was wounded in Italy in April 1945. We are all thankful everyday for the youngsters who “grew up awfully fast”!